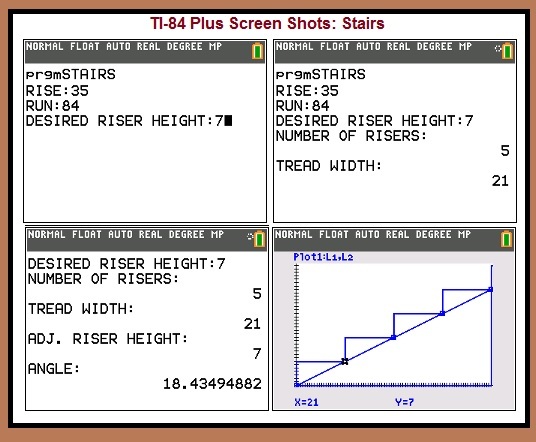 Given the rise (height from lower floor to upper floor), run (length of the staircase), and desired riser height (how high each stair is), the program STAIRS calculates the number risers needed, along with the width of each stair, the incline, and finally illustrates the staircase. STAIRS is designed with inches and feet (US units) in mind. * Adjusted Riser Height is rounded to the nearest 1/16th (of an inch). This is accomplished by the line iPart(H)+round(16*fPart(H),0)/16. 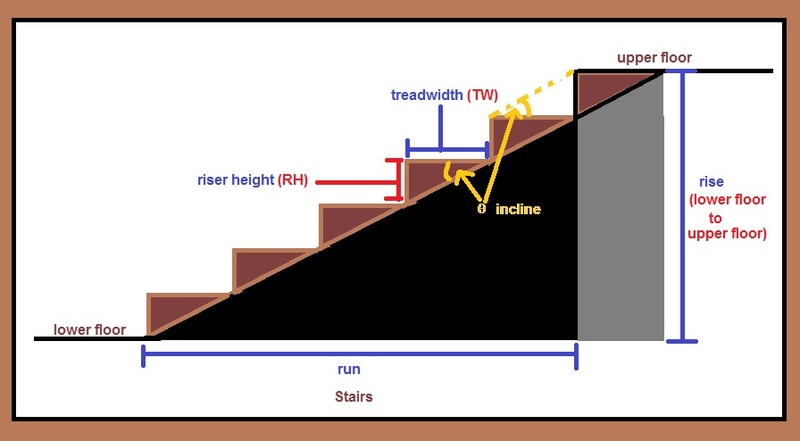 The graph screen shows the staircase. A stat plot shows where each stair ends with X (L1) representing the position and Y representing the height (L2). The program sets the TI-84 Plus to Degrees mode. All amounts are in inches. Example 1 is shown in the screen shots above.